J. Jane Consulting | dr. alexis shields. 04 Jun dr. alexis shields. lisbon, portugal. | doctor. homeopath. daughter. sister. wife. food loving world traveler. 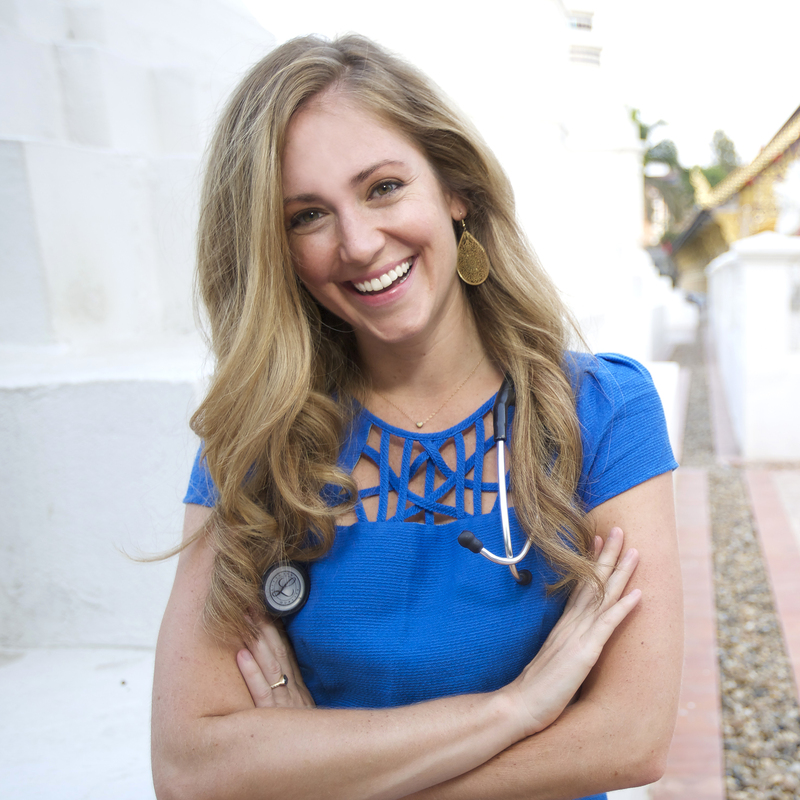 Alexis Shields studied medicine at the National College of Naturopathic Medicine in Portland, Oregon. However, she has been working virtually, living abroad, and traveling since August 2013. Currently, she calls Lisbon, Portugal home. Alexis has an adventurous spirit and passion to help others — two qualities that lead her around the globe performing incredible acts of goodness. A dear friend of my sister, Alexis’ spirit is infectious and compels one to consider all the possibilities life presents us. Dr. Shields believes it is equally important to live in the moment and maintain a commitment to achieving lifelong goals. Who are we to argue with solid medical advice? Was there a fork in the road that distinctly determined your lifestyle and/or career? Ever since I was little I wanted two things: to be a doctor and a world traveler. I later found out that endless schooling and a busy medical practice does not allow for much world traveling. Two years ago my partner and I sold most of what we owned, including our medical practices, consolidated our lives down to two suitcases and began traveling. In the last 20 months, we’ve explored 11 countries. Because of the opportunities that were presented to us by people we’ve met along the way, I am now seeing patients all over the world using virtual medicine. What started out as a short sabbatical has now become a way of life. I learned about Naturopathic medicine from my dad who began seeing a Naturopathic doctor to help him through a liver transplant. This time period was a big wake up call for our entire family and the start of my interest in natural health. In my teenage years, I developed a serious digestive disease (called ulcerative colitis) and migraine headaches. Through the eventual use of natural medicine, I have been able to take control of my health and heal my body. After experiencing the benefits of Naturopathic medicine in my life, I knew I had found my calling. You chose an unconventional career path. Did anyone discourage you from choosing the natural path to healing? If so, how did you handle that? Luckily my family is very supportive of my career path. Even the more skeptical of the bunch have come around to emailing me when they have health related questions. And honestly, no one discouraged me because I didn’t ask for anyone’s opinion before I started Naturopathic school. This was a good decision. Do you feel America finally gets the diet – disease connection? And why is it so hard to change our eating behaviors? I believe it’s starting to. The best way to experience most cultures is around the dinner table. And in the U.S. we do not yet have this same strong cultural connection to food. We don’t gather cross legged on palm leaves on the jungle floor for a family meal as they do in Thailand, or enjoy leisurely two-hour lunches as they do in Italy. In France, the first years of public schooling are spent introducing children to as many foods as possible. Food quality is more universally important and they have a real sense of pride in the food that they serve. When you grow up without this cultural importance placed on nourishing your body, I believe it makes it harder to change unhealthy eating behaviors later in life. This lack of connection has resulted in eating a Standard American Diet full of empty-calorie processed food, which is partly responsible for the obesity epidemic. We are overfed, yet undernourished. If you could do one thing to change the health care system in America, what would it be? Good health starts with food. And so does practicing good medicine. Diet, not drugs, should be the first line therapy for many diseases. For example, Type II diabetes, which is caused by a poor diet, can be completely controlled by changing the diet. I would also make nutrition courses mandatory in all medical school curriculum. There are still some top medical schools in the United States without classes in nutrition. This explains some of the misinformed and harmful advice given to patients by their doctors to eat “sugar-free” and “low-fat” processed foods. I have a friend who has high cholesterol. She is young, (mid- 30’s) exercises regularly, and eats healthy. Her doctor is pushing pills … is there anything she can try before taking that route? The short answer is yes. But my first questions would be: based on the current research, is her cholesterol actually high enough to pose a threat to her health? And has she had a complete assessment to thoroughly assess her level of cardiovascular risk? Pushing pills based on a single blood test without looking at the whole picture, her risk factors and her currently diet and lifestyle is not good medicine. The long answer… The most important question is why does she have high cholesterol (if it is indeed high)? Does she sleep 9+ restful hours a night? What is her stress level? Does high cholesterol run in her family history? Is she over exercising? Is her thyroid functioning optimally? What does a “healthy” diet mean to her? Is she addicted to sugar? Are her inflammation levels high? Is her liver function optimal? Etc., etc., etc. The next question is, what problem would the drug solve and what are the success rates of that particular drug? Let’s assume her doctor recommended that she take a cholesterol lowering medication called a statin drug. So you have to ask yourself, is a statin drug the best fit for this young otherwise healthy woman? There are many things that she can try before going the drug route, but we would need to know the answers to the questions above to understand the underlying cause first. If someone wanted to follow in your footsteps, what steps do you suggest to take? To maintain mental grace, feed your brain good quality whole food. Eat foods that make you feel like you are glowing from the inside out. Learn how to pay attention to what your body is telling you. Sometimes self-experimentation and listening to your body is more useful than any double blind placebo study or doctors advice. To maintain physical grace, move your body – daily. Sitting is the new smoking. My great grandmother, Helen Murphy, passed away four months short of her 100th birthday. She said, “If I knew I was going to live this long I would have exercised a lot more.” I think about this every time I try to talk myself out of exercise. I plan to live to 100 and be able to move like this woman when I get there. Looking for helpful tips that will help keep you on track for living a healthy life? Be sure to connect with Dr. Shields on Facebook. She is always posting relevant information that will inspire you to live your best life. Also, you can follow her travels on Instagram. In March of 2015, Drs. Alexis Shields and Shannon Weeks set up a mobile clinic for the Morwakee village located deep in the mountains of Northern Thailand. The people receive little to no medical care and many have never seen a doctor. The village of 200+ men, women, and children is without electricity, has limited access to clean water, and experiences a long dry season that makes growing healthy food very difficult. You may experience a little bit of the journey in the video below. To learn more about Dr. Alexis Shields visit her website. Newman, David, MD. “Statins for Heart Disease Prevention (Without Prior Heart Disease) | TheNNT. The NNT Group, 10 Jan. 2015. Web. 15 May 2015. <http://www.thennt.com/nnt/statins-for-heart-disease-prevention-without-prior-heart-disease/#”>. Please note: this interview is not intended to replace seeking professional medical advice from your health care provider. MORWAKEE MOBILE CLINIC from Alexis Shields on Vimeo.